Remember those touring rock and roll shows back in the 50s with like a ton of acts, like Chuck Berry, then Little Richard, then Buddy Holly... Well, I don’t either - how old do you think I am?! 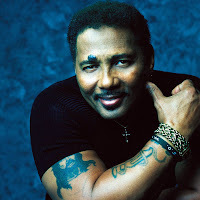 Anyway, I’m bringing them up because that’s exactly where I felt like I was the other night... ‘Cos I was at the Carolina Theatre watching Aaron Neville’s Christmas show. 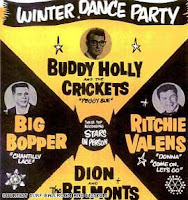 Well, they billed it as a Christmas show, but there wasn’t much Christmas a about it. Just a couple of Christmas songs – My Christmas Prayer and White Christmas, which was, note for note, a copy of the Drifters’ arrangement of the old Bing Crosby chestnut instead of his own wistful soul version. 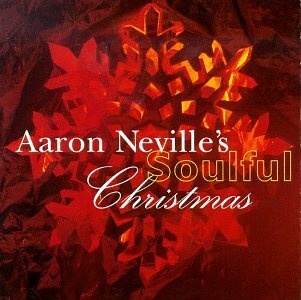 If you haven’t heard it, Aaron Neville has a really sweet Christmas album... none of which was sampled at this “Christmas Show.” Not that I’m complaining - I’m just saying... What it WAS like, was one of those 50s revues that I mentioned earlier – with a bunch of different bands. Except that it spanned several decades of music, and every group had the same, albeit fantastic, singer with the same breathy voice, loaded with vibrato and emotion. He wrapped his soulful vocal stylings around Sam Cooke's Cupid, Stand By Me, A Change Is Gonna Come, Billy Joel’s Just the Way You Are, Hall and Oates’ Sara Smile, Bob Marley's Stir It Up, Roberta Flack’s The First Time Ever I Saw Your Face AND Killing Me Softly... his own hits like Tell It Like It Is, Everybody Plays the Fool, and Don’t Know Much, which he did back in the late 80s with Linda Ronstadt. Honestly, I really can’t remember all the tunes – there were just so many, and all over the map: Doo Wop, MOR, Reggae, Blue-Eyed Soul, Gospel... And some of these songs are not really songs I would listen to on purpose, but I have to say, each one was great showcases for that perfectly angelic voice he has. The two highlights for me: a Neville Brothers song called Congo Square... which made me feel like I had just jumped into an episode of Treme. Aaron’s brother Charles Neville wailed on the saxophone on this wild number. 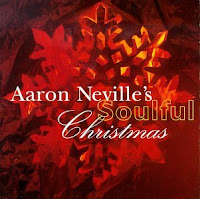 The other highlight... Aaron’s beautiful heartfelt and humble delivery of Amazing Grace. Because I am pretty sure he knows about the amazingness of grace firsthand. I mean, check out this little video of him working with Alan Toussaint, another New Orleans legend, on a couple of gospel songs including: I Know I’ve Been Changed. And how about this footage of him on Later with Jools Holland doing the Merle Haggard gospel tune I Am A Pilgrim.